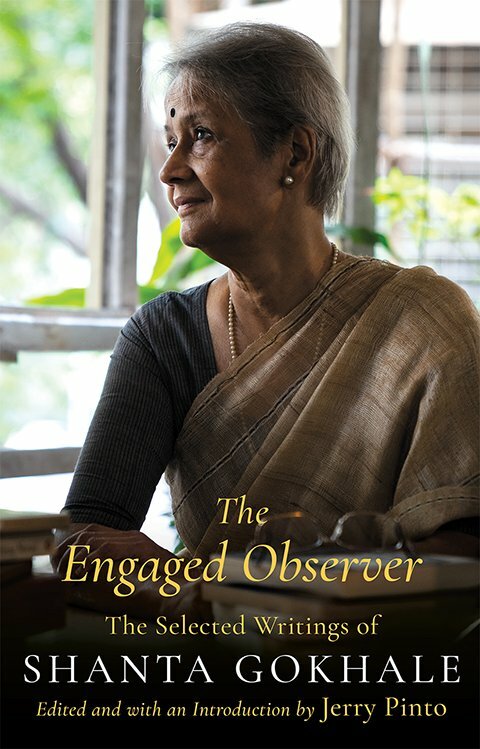 The Engaged Observer is a collection of writings by eminent author and intellectual, Shanta Gokhale. The book is an invaluable record of the social, political and cultural changes that have taken place in Bombay, Mumbai and beyond. The following is an excerpt from the chapter "Inextinguishable Fires: Dalit Literature in Marathi". One of celebrated Dalit poet Namdeo Dhasal’s childhood reminiscences is about the time he and his young friends committed the crime of swimming in a well whose water they, as untouchables, were forbidden to ‘pollute’. The boys were mercilessly stoned by the villagers for the crime. So when Dalit writers say their literature is about life, they are talking about a bitter and humiliating struggle for existence. To be denied water is to be denied life. How then are they to feel they belong to this land and its gods? These are the angry poets of the 1970s and after. But before they arrived, there was another, Baburao Bagul, who was writing impassioned short stories that pitchforked readers out of their well-lit world into one that was dark, desperate and dangerous. Baburao Bagul was born in a village near Nashik in a desperately poor family. At ten years old, he was sent to Mumbai to live with his maternal aunt in the Matunga Labour Camp. This was a colony built by the Bombay Municipal Corporation1 for migrant Dalit labour from the interiors of Maharashtra, located on a piece of marshy, mosquito-infested land abutting Dharavi in Central Mumbai. Bagul’s school education ended with matriculation, after which he did several odd jobs till he found permanent employment in the railways. The Labour Camp at that time buzzed with intellectual activity. The Communist Party held regular study circles there and Dr Babasaheb Ambedkar’s Scheduled Caste Federation office was also located there. Thus Marxist and Ambedkarite ideologies came to form the foundation of Bagul’s thought, and gave his writing muscle. In 1963, ten of Bagul’s stories appeared in a collection titled Jevha Mi Jaat Chorali Hoti (When I Hid My Caste2). The book created such a stir that Bagul was interviewed by The Times of India and Maharashtra Times, while the Marathi mainline dailies, Navakal and Navashakti, ran editorials about him and his work. It is often said that Jevha Mi Jaat Chorali Hoti gave a new momentum to Dalit writing. This does not mean that the collection suddenly galvanized Dalit writers into writing. Writers like Shankarrao Kharat and Anna Bhau Sathe were already writing stories that had won them admiration. One of the factors that must have contributed to the upsurge of Dalit writing in the 1960s is education, which gave Dalit youth a sense of self-worth. The People’s Education Society, of which Dr Babasaheb Ambedkar was chairman, had founded the Siddharth College of Arts and Science in Mumbai in 1946, and the Milind Mahavidyalaya in Aurangabad in 1950, to encourage Scheduled Caste and Scheduled Tribe youth to choose education as a path to a better life. However, what Bagul’s stories did do, was to give Dalit writing a public face. His work told writers that they could write about their universe of experience without worrying too much about established norms of literary construction and language. Jevha Mi Jaat Chorali Hoti was followed in 1969 by Bagul’s second collection of stories, Maran Swasta Hote Ahe (Death Is Becoming Cheap), which focused on life in the slums of Mumbai. This collection consolidated his position in the literary world and brought him the Maharashtra State’s Hari Narayan Apte award. The most prominent amongst Bagul’s contemporaries was Anna Bhau Sathe, the Marxist shahir, short-story writer and novelist. He, too, lived in the Matunga Labour Camp. His life experiences were no different from Bagul’s. However, unlike Bagul, who wrote like an elemental force with no time to spare for embroidering descriptive details into his stories, Sathe wrote in a more conventional style. To assert that Dalit literature was distinct from upper-caste literature was simultaneously to reject the critical criteria that had evolved to assess the latter. 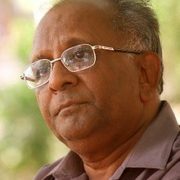 Dalit poet and critic Keshav Meshram stated in the March–April 1970 issue of Asmitadarsha, ‘Marathi criticism is inadequate to the task of assessing Dalit literature.’ Bhagat agrees, but hastens to point out the pitfalls attached to dismissing existing critical criteria. He argues that writing about Dalit life from an Ambedkarite perspective and rejecting established critical criteria does not mean that writers forget they are, first and foremost, artists. If upper-caste critics find Dalit literature too rough and raw for their palates, that is as it should be. 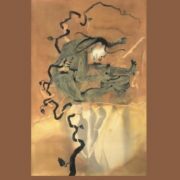 But at the same time, he contends, Dalit writers cannot go away with the notion that the unique moral value of their subject matter will, by itself, qualify their work as Dalit literature. Although the publication of Baburao Bagul’s short stories was a watershed moment in the history of Dalit literature, the short story as a literary form did not find immediate favour with young writers. Through the 1960s and 1970s, the form they largely chose to express their anger and protest through was poetry. Dhasal’s first collection of poems, Golpitha, published in 1972, was the next literary landmark in Dalit literature to come after Bagul’s Jevha Mi Jaat Chorali Hoti. Golpitha is the area in and around Kamathipura, Mumbai’s oldest red-light district where Dhasal grew up. A month after Golpitha appeared, writers J.V. Pawar, Raja Dhale, Arjun Dangle and Dhasal co-founded the Dalit Panthers, a movement for social transformation. The name of the militant movement indicated its kinship with the Black Panthers of America. The black voice demanded land, bread, housing, education, clothing, and, above all, social justice and peace. The Dalit Panthers were fighting for the same things. The founders wrote angry, provocative prose and poetry, giving the Dalit voice a sharp, aggressive edge. Raja Dhale wrote an article in the magazine Sadhana, deriding the national flag. Such writings brought cathartic relief to Dalit youth who had not received the benefits they had expected from the country’s Independence. The Dalit Panther literary movement turned out to be no different from the faction-ridden Republican Party of India. Internal differences caused Namdeo Dhasal to be thrown out. Soon, ten years after its formation, the Dalit Panthers stood dissolved. However, while the movement was alive, it brought Dalit lives and Dalit issues to the forefront once again. 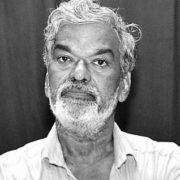 The next landmark in Dalit literature, poet Daya Pawar’s autobiography Baluta3, was published in 1978, hitting upper-caste critics and readers alike between the eyes. ‘Baluta’ is a term that describes the system of traditional village duties Dalits had to perform for a share in the village produce. 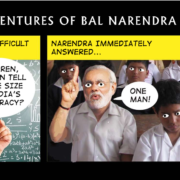 Unlike Jevha Mi Jaat Chorali Hoti, which had no followers of comparable power, Baluta inaugurated a stream of explosive autobiographical narratives. From small incidents like this in educated, urban, middle-class Dalit homes to atrocities like the lynching of four members of the Bhotmange family in Khairlanji in September 2006, exhaustively recorded by Anand Teltumbde in his book, Khairlanji: A Strange and Bitter Crop (Navayana; 2008), the upper-castes continue to discriminate against and oppress Dalits. And women have come to realize that they are doubly oppressed—by upper castes and by their own men. Consequently, the Dalit feminist voice has grown increasingly stronger over the years. Along with the woman question, there is another issue that has been exercising Dalit minds in recent years. Can Dalits afford to be rigidly exclusive and paint themselves into a corner? Why should politically committed writers hold so determinedly apart not only from upper-caste literature, but also from Dalits who are not politically committed but are fine writers all the same? An allied question of social relations has also come to the fore in recent times. As some Dalits have moved from village to city, educated themselves and entered middle-class professions, they have encountered and grown close to members of the upper castes, inevitably leading to inter-caste relationships often ending in marriage. Sanjay Pawar’s play, Kon Mhanta Takka Dila (Passing the blame), first performed in 1990, deals with the caste conflict arising out of an educated Dalit youth’s relationship with a Brahmin girl, strictly disallowed by the caste hierarchy. 1. As it was then known. It is now the Brihanmumbai Municipal Corporation, the acronym remaining the same and the inefficiency. 2. 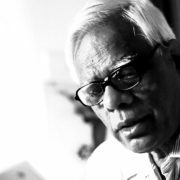 When I Hid My Caste: Stories by Baburao Bagul, translated by Jerry Pinto has been published by Speaking Tiger, 2018. 3. Baluta by Daya Pawar was published in 1978 in Marathi by Granthali; English translation by Jerry Pinto (Speaking Tiger; 2015). 4. Translated by Maya Pandit and published as The Weave of My Life: A Dalit Woman’s Memoirs (Stree-Samya Books; 2007). 5. Namdeo Dhasal died in January 2015. This autobiography seems to have remained incomplete. *This article was first published in The Caravan on 1 August 2013. 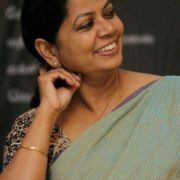 Shanta Gokhale is a novelist, playwright, translator, cultural critic, columnist and theatre historian. In 2016, she received the Sangeet Natak Akademi Award for her overall contribution to the performing arts. This is an extract from The Engaged Observer: The Selected Writings of Shanta Gokhale, published by Speaking Tiger and is republished here with permission from the publisher.